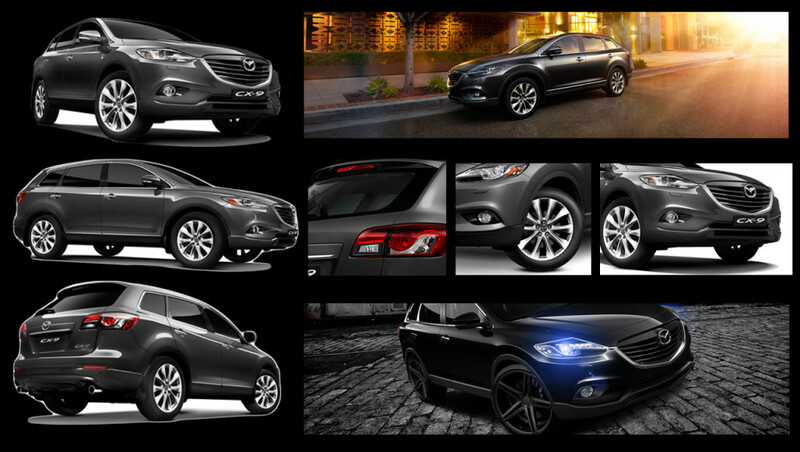 The Mazda CX-9 is one of the most reliable, sensible 7 seaters that you can own today. Unlike other SUVs and family cars, the CX 9 manages to stay pretty composed around the corners too! However, the car has begun to feel and look a bit dated. It is also known to be quite thirsty. Mazda has sorted these issues by launching the all new second generation CX-9 at the Los Angeles Auto Show. The company promises that the new version is more fuel efficient, lighter and better to drive than its predecessor. Even though the car that we tested was only a prototype, it does give us a fairly close idea about the CX-9 that will hit Australian roads in 2016. The current model has decent road presence but it lacks charisma. The 2016 model looks stunning in comparison. Designed to give dynamic poise that shows elegance and superb performance. The front features a big, bold grille with a prominent Mazda logo surrounded by horizontal slats. The headlights are equipped with stylish daytime running LEDs, which look a little like the ones on a BMW 5 series (this can only be a good thing). The prototype model has sporty fog lamps – these look really smashing and we hope that they make it on to the road. The hood is long and fairly high and the A pillars have been moved back by about 4 inches. This accounts for a sportier stance and the CX 9 manages to elude that ugly van-like appearance that is fairly common in crossovers. This Mazda is not intimidating but it is proportionate and comes across as a very handsome automobile. The beltlines have been fused with the hood – this is a rare design trait but Mazda have pulled it off quite brilliantly. The rear end is commensurate with the rest of the vehicle – the prototype that we tested had a generous slathering of chrome badging and the roof overhang felt like a spoiler. The actual length of this family car has been shortened by about 3 cm but this is not a problem as the wheelbase is now a little over 5 inches longer. This should account for more leg and knee room for the passengers. Ritzy 20 inch alloys complete the package and make the Mazda look far more than it is actually worth. When Mazda said all new, they really meant all new! The interiors have improved by leaps and bounds. The earlier models did not have a bad interior – it was functional and neat. However, the interior of the 2016 model is simply a treat for the senses. Built-in great technology in all just one mere touch. 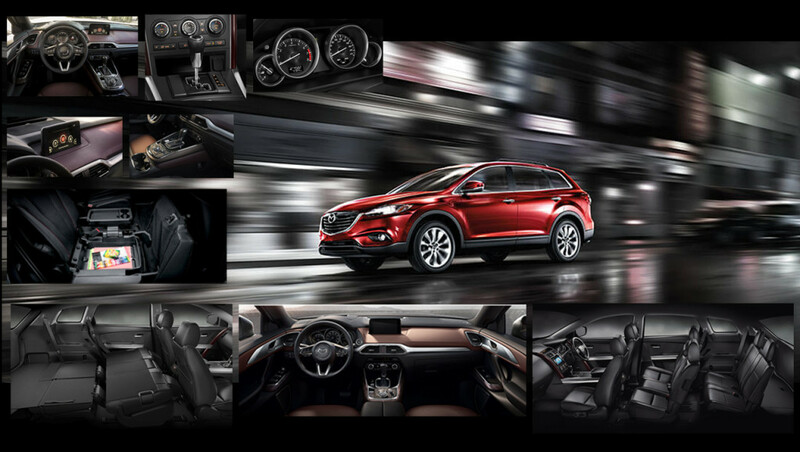 Style and functionality – you got it all with Mazda CX9. Cabin insulation is phenomenal – not as hermetically sealed as an S class Mercedes but then, this is not a luxury car but a humble family crossover. The quality of materials (real wood, real metal, no fake stuff) and the fit and finish is excellent. You will not have to put up with tacky, cheap plastics anymore – everything feels premium and sophisticated. 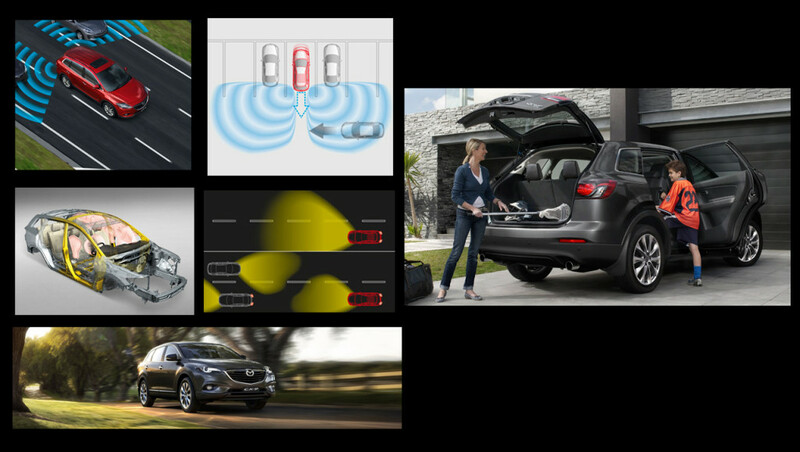 The car comes equipped with goodies like a sporty 3 spoke steering wheel, elegant dash, heads up display, infotainment system etc. The slightly longer wheelbase means that ingress and egress is now easier. Third row passengers will be slightly disappointed as they do not get AC vents. However, the AC is pretty powerful and cools the cabin in quick time. The front seats and middle row seats are very comfortable (The front passengers get a luxurious armrest too). The third row has decent leg room but limited knee room. It is best reserved for short rides or for children. As expected, the boot is pretty big (although a little smaller than the 2015 model) and there are plenty of nooks and crannies to hold all your stuff. Gone is the 6 cylinder engine of the 2015 model. It has been replaced with a 2.5 litre, 4 cylinder petrol engine. Now before you start frowning over the loss of 2 cylinders, you might want to know that this new motor is turbocharged and so it delivers more torque (420 Nm). Yes, it does produce less power (169 KW at 5000 rpm), but the increase in torque more than makes up for this. 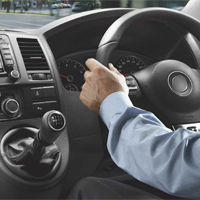 Most importantly, you do not have to rev the engine hard in order to access all its potential – the torque is available at just 2000 rpm. The CX 9 is always eager to go! As soon as the turbo charger kicks in, you feel a surge of power – it is almost like being pushed from behind. The engine is paired with a 6 speed automatic transmission. The Australian version will most probably receive a few tweaks to the engine. An all-wheel drive version is also available if you plan to go camping or enjoy having fun off the road! The claimed fuel efficiency is 9 litres per 100 km – a bit on the lower side but you have to remember that this is a 5 meter, 7 seater family car. The CX 9 rides like a dream! It glides over bumps and potholes with grace and confidence. The suspension does a pretty good job of soaking in the irregularities of the road. This is also the sportiest car in its class! Your Family’s safety is guaranteed with its high and advanced security features. The CX 9 does not shy away from corners. You do experience some body roll – but nothing scary. The fact that the 2016 model has lost more than 100 kg greatly improves its drivability. Mazda has tuned the new engine for better throttle response and linear power delivery. Despite having 2 cylinders less, the 2016 engine feels more powerful than the outgoing 6 cylinder. If you want a big crossover that is reasonably fun to drive, the CX 9 hits the bolt right on the head! Just do not expect the driving dynamics of an MX 5. The CX 9 comes equipped with a host of safety features such as 6 airbags, ABS, lane departure warning, Electronic Brake Distribution, parking sensors etc. Being a Mazda, this is one of the safest cars on the road. The Mazda CX 9 has a lot going for it. It looks great, drives well and seats seven. It does all this without making a huge dent in your bank account. It is estimated that the base model of the 2016 CX 9 will be priced at 45,000 dollars. Hence, this Jap makes a great alternative to the more expensive European SUVs and crossovers. If you are in the market for a 7 seater and can afford to wait a little, the 2016 CX9 will not disappoint. If you love the current version – now is the time to haggle with dealers and avail huge discounts.